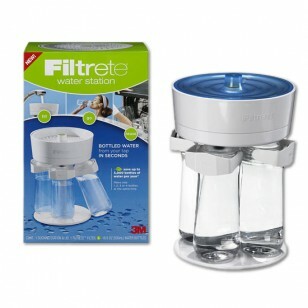 The Filtrete Water Station will change the way you drink bottled water forever. 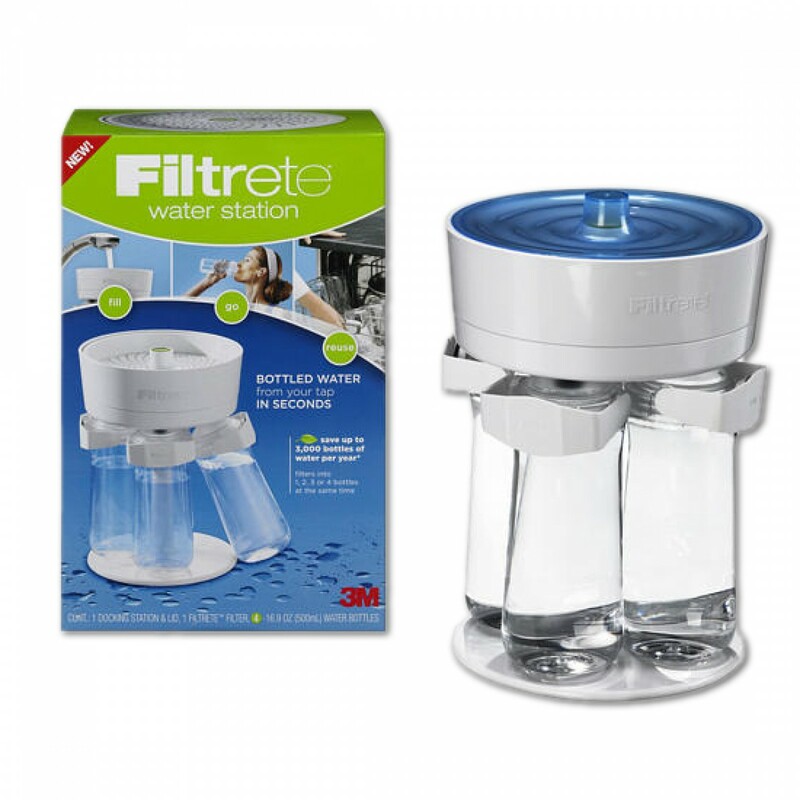 Now, instead of wasting time filling your water bottle from a dispenser or water fountain you can use the Filtrete Water Station to quickly fill four bottles with filtered water saving you precious time. Grab and Go bottle design means you can take a bottle of filtered water with you everywhere you go: to the gym, soccer practice, biking, or just to have around the house. You will never have to buy expensive bottled water again!